UPDATED, UPGRADED, & READY FOR NEW OWNER... STEP INSIDE TO WOOD FLOORS THAT STRETCH INTO THE SPACIOUS FAMILY ROOM FEATURING A WOOD-BURNING FIREPLACE AS WELL AS THE FORMAL DINING & BREAKFAST NOOK. THE KITCHEN INCLUDES NEWER CABINETRY WITH 42" UPPERS, GRANITE COUNTERS, AND STAINLESS APPLIANCES. THE INDOOR LAUNDRY MUD ROOM CONNECTS TO THE ATTACHED TWO CAR GARAGE. THE MASTER SUITE FEATURES A DRESSING AREA, TILED TUB/SHOWER, & WALK-IN CLOSET. 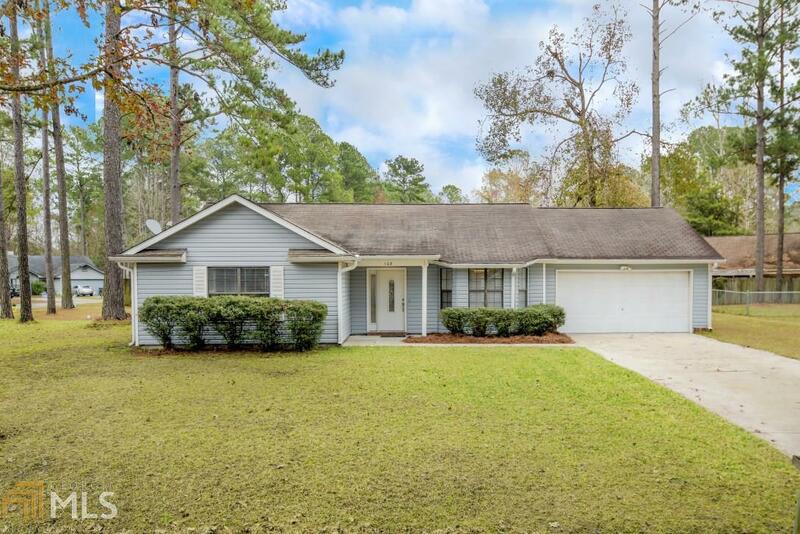 ALL OF THIS IS SITUATED ON A LARGE CORNER LOT WITH MATURE TREES IN THE MEADOWS. ENJOY THE CONVENIENCE OF SCHOOLS, SHOPPING, AND DINING. THIS HOME IS MINUTES FROM I-95. EASY TO SHOW OR SEE... CALL FOR YOUR APPOINTMENT TODAY! Directions: From Hwy 40 Heading West From Kingsland, Turn Right Into The Meadows S/D. Take Immediate Left Onto Woodbridge Road And Then Right Onto Castle Oak Court. Home Is On The Right On The Corner. Look For Sale Sign.